Abolition of medical schemes act could offer health care to the nation. Is the Medical Schemes Act a Crime Against Humanity? The call for the abolition of Medical Schemes Act (MSA) is increasing. The formation of the MSA is the result of the decline in public health care services. It acted as a start for the “exodus” from public health to the private sector by the majority of professionals. Calling for the abolition of the Act is the President of the South Africa Health Professionals Council, Dr Kgosi Letlape. The Medical Schemes Act changed the healthcare industry, opening the doors to profit-making insurance firms to provide private medical care cover. Discussing the proposed National Health Insurance (NHI) white paper, Dr Letlape questioned whether it would meet the South African Constitution’s human rights objectives. Free access for all to the country’s health services was a right and should not only favour higher income earners. Therefore, he maintains that there cannot be a health system put into place unless it was open to all citizens of the country. The advent of private health care schemes saw a flood of doctors go into private practice. And it was for those reasons that Dr Letlape viewed private health care cover as unfair. He has called for the end of the MSA. This will ensure the success of National Health Insurance and the provision of health care for all South Africans. The Medical Schemes Act was the start of the decline in the public health service. This resulted in the loss of thousands of professionals. It damaged the public health service that suffered a mounting lack of staff. This, in turn, placed pressure on the Government to maintain hospitals and clinics. 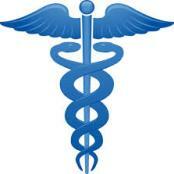 ← You Need a Medical Aid Plan Now, Not in the Future!